The Ambassador of Italy to the United States, Armando Varricchio, recently visited Nashville for an official visit with Governor Bill Haslam. Dr. Francesca Muccini, associate professor of Italian and representative of the Consulate of Italy in Middle Tennessee, accompanied him during his stay. 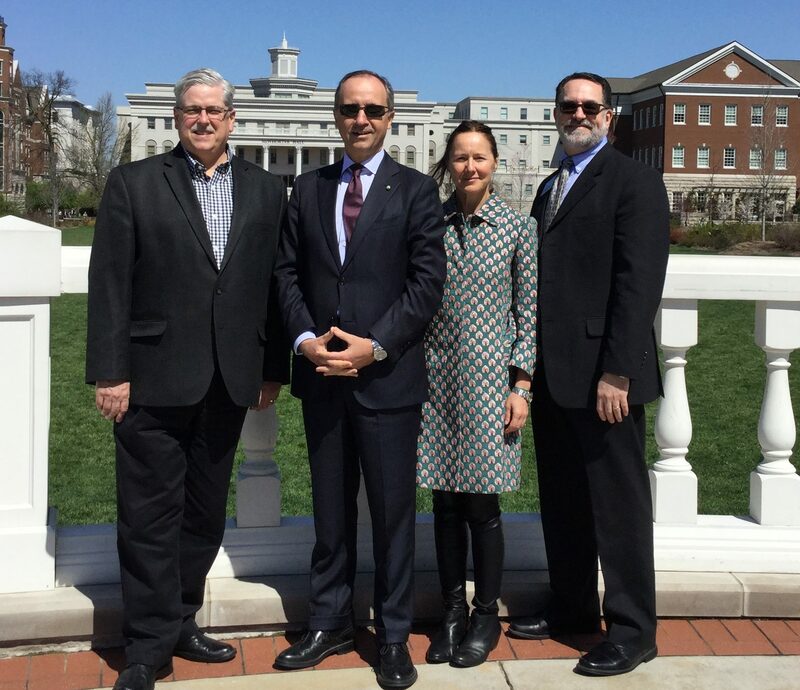 The Ambassador later had the opportunity to meet with Provost Dr. Thomas Burns and Dean of the College of Visual and Performing Arts Dr. Stephen Eaves for a tour of Belmont University and the Mansion.